Enhanced steel takedown/pivot pins for AR15/M16/M4 . 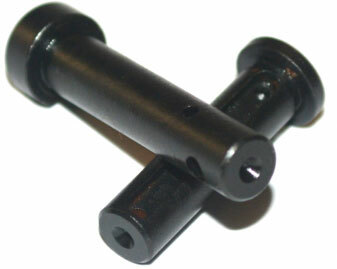 These enhanced pivot/takdown pins comes with several enhancements for easy installation and operation. A convex head so it can be tapped from any angle. A extended concave tip for easy removal using any flat or pointed object including a bullet tip and an EZ-Set TM hole for detent installation. Pat. Pend.